Warning: spoilers for Netflix’s Triple Frontier are present. If you haven’t seen the film yet, bookmark this page and come back once you’ve done so. At the end of J.C. Chandor’s Triple Frontier, the events that transpired during the film are brought to a seemingly tidy end. But during that ending, there are a couple of key pieces of information that stand out as potential threads for a sequel. While any film can leave the door open for another installment of adventure, it’s not always the best course of action to follow up with another escapade. 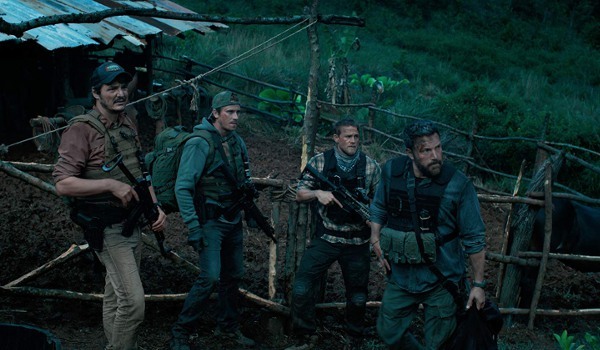 It’s a complicated matter, because while Triple Frontier doesn’t seem like the type of film to get a sequel, there’s enough left hanging that would make for an intriguing follow up if it was done correctly. With that in mind, it’s time to start delving into whether or not this action-drama should continue, or if stolen cash is best left where it lies. Let’s start things off by discussing the ending of the film. 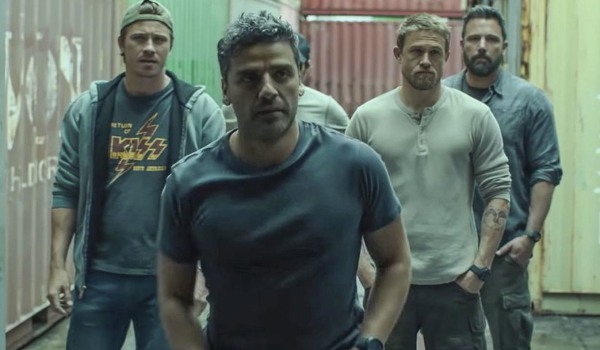 After the heist that Oscar Isaac’s Santiago, and the rest of his Triple Frontier team have undertaken, the film puts them through the ringer. A series of troubles and tribulations pressures the team into some bad decisions involving an overloaded helicopter, a farming community in the Andes, and a trek through a treacherous mountain range that leads to the ultimate run for the coast. In the end, only one member of the team is killed – Ben Affleck’s Tom. As a result, the surviving teammates donate their shares of the remaining money that didn’t get lost in the Andes to Tom’s family. Feeling guilty for his death, and wanting to provide for his family, each man tears up his paperwork to deposit their shares, and allows their banker to deposit it all into the same account. After which, everyone goes their separate ways, saying a somber but heartfelt goodbye. Just as the film is ready to let Isaac and Charlie Hunnam’s William ride off into their respective sunsets, with Santiago ready to reunite with his girlfriend / intel source Yovanna in Australia, William slips him a piece of paper with important information. That info happens to be the GPS co-ordinates to a spot where the team dumped a ton of cash in order to lighten their load. As Santiago walks into the crowd on a warm, tropical day, the film fades to black. The continued adventures of the Triple Frontier team have two key components on their side: the fact that Santiago was given the co-ordinates with the express purpose of possibly recovering the money, and his intended reunion with Yovanna after the heist went sideways. So, with a potential second act in the saga that J.C. Chandor co-wrote and directed, there’s already enough components here to make for a basic sequel. What makes a second excursion to the Triple Frontier even more exciting is something that Yovanna said to Santiago as they parted mid-way through the film. 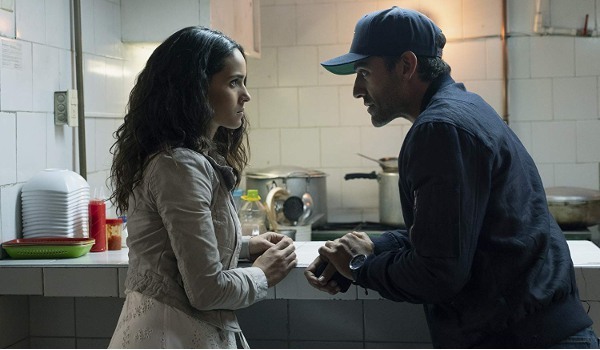 After stealing the money from the infamous drug dealer that they were robbing, she tells Santiago that it’s not just that particular dealer’s money in their hands. There are others who threw their funds in with his, and they’re going to come looking for every penny missing. Keeping all of this in mind, there’s one of two ways this could go. One scenario is that the Triple Frontier survivors could recover the money for their own needs, as it’s tucked away in a nice and secret spot for them to make a lovely retirement fund out of. The other, more probable scenario, would see those other drug dealers coming back to demand their money be returned; leaving the crew to figure out how to score the remaining $5 million that was donated to Tom’s family. Both sound good, but are they enough to go forward? Let’s look at the other side of the coin. While there’s two good concepts for a Triple Frontier followup, there’s still a solid case for not going ahead with any sort of return trips to the danger visited upon its protagonists. And that case comes from the fact that after all of the action that Santiago and his team had seen in Triple Frontier, it’s not very likely that they would want to live through that sort of thing again. It all comes down to the approach to the original film, and how well it would mesh with any potential sequel. Honestly, the grounded approach that J.C. Chandor and co-writer Mark Boal took in telling the story of Triple Frontier feels like it’d be at home with the ambiguity in the film’s final reel. It’s a movie that doesn’t absolutely need to prolong itself beyond where it’s already been, because the overriding lesson seems to be that if these soldiers hadn’t pushed their luck as far as they had, they’d all be alive and richer than their wildest dreams. In service of that message, another round of Triple Frontier action would seem like a slap in the face of that first round’s overarching message. And as any fan of ’80s action dramas will tell you, not every series has the luck that Rambo did; and even if it did, there’s always the chance that things will devolve into mindless propaganda before all is said and done. 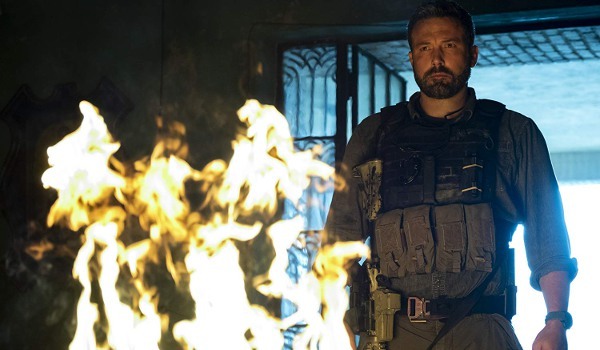 Triple Frontier is a film that could very easily lend itself to a sequel, and that sequel could be really good. There’s room for improvement with the foundation of the original, and the hooks are clear enough to bring the series into a reasonable future. But, even with the ideas presented, there’s a risk that such a sequel would be a really bad idea. The result of this whole exercise is a pro sequel outcome, so long as those involved keep their heads on straight during development. In fact, bringing in J.C. Chandor and Mark Boal would be required at this point, as Chandor knows the characters and Boal knows how to bring the action. But, of course, we’d like to know what you, the audience, think about this proposition. Using the poll below, and the comments section as well, let us know if you’d want another round of Triple Frontier in your Netflix queue. And, if you’re looking for another movie to scratch that action itch, take a look at 2019’s release schedule and see what’s on the horizon!